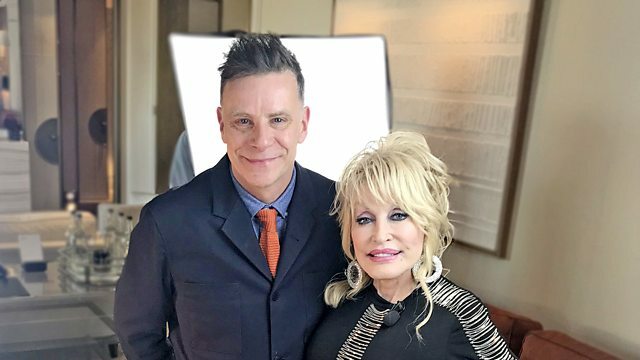 Two hours of the music and stories of Dolly Parton. Featuring an extended interview exploring her song-writing and some of the songs from her six decades as a recording artist. Two hours of the music and stories of The First Lady of Country Music, Dolly Parton. Featuring an extended interview exploring her song-writing and some of the songs from her six decades as a recording artist. Dolly Parton is the first ever successful female singer-songwriter, writing over 3,000 songs. In this unique conversation about her writing process she describes her early days at Monument Records under the guidance of Fred Foster, turning down several requests to meet with Elvis and refusing his demand for a publishing credit on one of her biggest hits. She talks about her relationship with collaborators Porter Wagoner and Kenny Rogers, being mad at Linda Ronstadt for missing out a key lyric in one of her songs and the clause she gave Whitney Houston for the use of I Will Always Love You in The Bodyguard soundtrack. Dolly shares the stories behind her songs and the real events centred around her humble up-bringing. Plus she describes the opportunity to bring her songs to the stage for 9 To 5 The Musical and revisit the themes of the original movie in the #MeToo movement. As Long As I Love. The Very Best of Dolly Parton Vol 2. The Best of Dolly Parton.